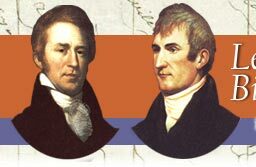 The approaching 200th anniversary of the Corps of Discovery has generated tremendous interest in the trans-continental expedition led by Captain Meriwether Lewis and Lieutenant William Clark. Throughout the United States, countless people are devoting their time, energy, and resources to learning more and to distributing information about Lewis and Clark's expedition to the mouth of the Columbia River and return trip. The University of Virginia has a particular interest in the expedition because both leaders were Virginians and because Thomas Jefferson, the architect of the venture, also founded the University. The Lewis and Clark Bicentennial Project represents the University's chief effort to contribute to the national conversation and to the emerging body of scholarship on the expedition and its role in North American history. The Lewis and Clark Bicentennial Project (LCBP) seeks to use the scholarly expertise and resources available at the University of Virginia in order to serve both the University community and the general public. Within the University, the LCBP brings new attention to the American West and creates educational opportunities for students and faculty alike. The Project sponsors new introductory and upper-level courses on the American West and facilitates cross-disciplinary faculty collaboration. In addition, the project participates in an effort to link the various electronic and print resources spread throughout the University in order to create a more coherent learning community. By supporting academic conferences, public lecture series, and a digital history project devoted to the Virginia which Lewis, Clark, and Jefferson knew, the LCBP reaches out to a wider audience. Since the launch of the Project in the Summer of 2000, the administration, the faculty, and the students at the University have devoted considerable time and effort to its success. Funding for the Lewis and Clark Bicentennial Project has generously been provided through the Office of the President of the University. The Project's web site is hosted by the Virginia Center for Digital History.